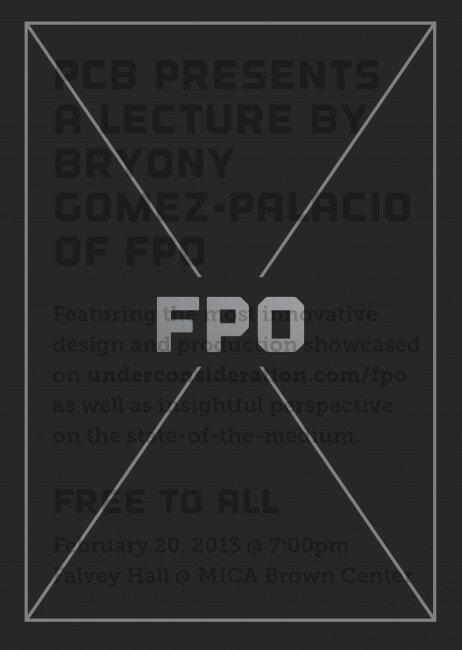 PCB presents a lecture by Bryony GomeZ-Palacio of FPO – Featuring the most innovative design and production showcased on underconsideration.com/fpo as well as insightful perspective on the state-of-the-medium. Orange Element for providing such a great poster design. Baltimore Print Studios for their amazing printing skills. Friendship Creative Printers for providing the paper. And of course our hosts at MICA.